Bedford Place is a charming community in Blacklick, Ohio. The community consists of two-story attached townhomes that offer homebuyers the convenience of living a maintenance-free lifestyle without having to sacrifice comfort and style. These townhomes feature spacious living areas, affordable pricing, and access to major highways and nearby city attractions. Homeowners at Bedford Place can socialize in the clubhouse. The clubhouse is the central hub of activity and fun at Bedford Place. They can stay in shape in the exercise room or play cards with neighbors in the multi-purpose room. A catering kitchen is available for residents to use to prepare snacks for parties. Residents can relax outdoors by taking advantage of the private amenities available within the community as well. Residents can go for a swim in the heated outdoor pool to relax or stay fit. They can gather around the patio area to mingle with other neighbors and have a great time. The community also has beautiful scenic views of natural wooded areas and open spaces for residents to enjoy the great outdoors. Bedford Place is a picturesque community consisting of beautifully designed attached townhomes. Bedford Place was developed between 2007 and 2014 by well-known builder, Epcon Communities. The community consists of 215 attached residences that are available on a resale-only basis. Homebuyers have eight spacious floor plans to choose from that range from 1,096 to 1,659 square feet. Townhomes in Bedford Place are elegantly designed with modern decor and luxurious fixtures that suit the needs of many homebuyers. These models feature two or three bedrooms, two-and-a-half bathrooms, and some homes include a one-car garage. These townhomes also feature cathedral ceilings, two-story floor plans, generously appointed kitchens, large living rooms, spacious walk-in closets, and patio or porch areas. Bedford Place residents live a carefree and stress-free lifestyle without worrying about home maintenance or yard work. 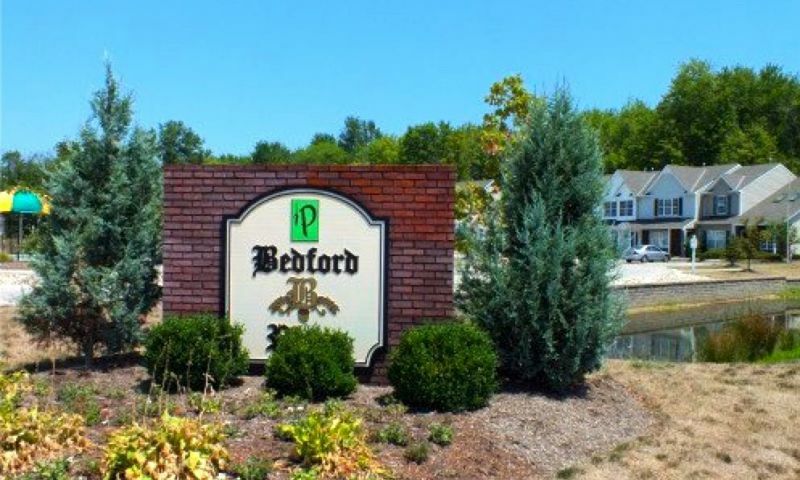 All homes within Bedford Place are maintenance-free and handled by the homeowners’ association (HOA). The professionally managed association takes care of exterior home maintenance, lawn mowing, snow removal, and common area maintenance. Homeowners have more time to do the things they love instead of chores. Bedford Place is located right off of Broad Street in Blacklick, Ohio. It is a short 20-minute drive to downtown Columbus and 10 minutes from East Columbus. Bedford Place is conveniently located near Interstates 70 and 270 and only 15 minutes from Port Columbus International Airport. Residents can visit the 643-acre forest of Blacklick Woods Metro Park as well as other shopping, dining, and recreation options nearby. Homeowners will truly enjoy living in comfort and style at Bedford Place in Central Ohio. Check back soon for more information on the lifestyle in Bedford Place. Bedford Place has two-story townhomes that range in size from 1,096 square feet to 1,659 square feet. These attached units have two or three bedrooms and two-and-a-half bathrooms. Some models have a one-car garage as well as a flex room that can be turned into an optional third bedroom. I really like the clubhouse, the pool, and the fitness center. Everyone is very friendly and welcoming. 55places.com is not affiliated with the developer(s) or homeowners association of Bedford Place. The information you submit is distributed to a 55places.com Partner Agent, who is a licensed real estate agent. The information regarding Bedford Place has not been verified or approved by the developer or homeowners association. Please verify all information prior to purchasing. 55places.com is not responsible for any errors regarding the information displayed on this website.